Explanation: The North America Nebula in the sky can do what most North Americans on Earth cannot -- form stars. Specifically, in analogy to the Earth-confined continent, the bright part that appears as Central America and Mexico is actually a hot bed of gas, dust, and newly formed stars known as the Cygnus Wall. The above image in shows the star forming wall lit and eroded by bright young stars, and partly hidden by the dark dust they have created. 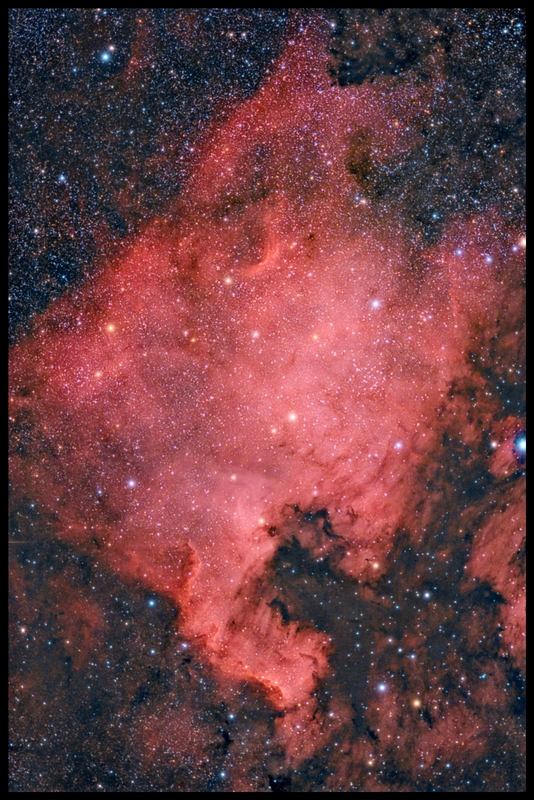 The North America Nebula (NGC 7000) spans about 50 light years and lies about 1,500 light years away toward the constellation of the Swan (Cygnus).